Eva-Maria Biribauer is Inventive Spirits! Let me think a moment …Oh, that´s it! Out of an idea she creates a concept. The concept becomes a project. Ideas change the world! With ‘Inventive Spirits’ Eva-Maria develops concepts for image campaigns and educational initiatives. ‘Inventive Spirits’ unifies the creativity and know-how from Eva-Maria’s previous work in painting, costume design and film production. Eva-Maria Biribauer was born in Austria in 1980. After completing her School Leaving Exam at the Humanistic Secondary School of the Redemptorist Order in Katzelsdorf (Austria), she moved to Munich, Germany to study fashion and costume design at ESMOD. She subsequently worked at the Schaubühne in Berlin and the Burgtheater in Vienna, before switching to film, where she worked in the costume department of several large productions beginning in 2003. While working in the film industry, Eva-Maria learns how to give shape and form to stories and characters. Analyzing characters and dramaturgical connections proves to be a vital skill in her costume design work. During her studies in film production, Eva-Maria deepens her knowledge of storytelling and discovers her passion for developing concepts. Her paintings also reflect this fascination with concept development: Eva-Maria produces entire series based on specific themes. Eva-Maria’s work follows a universal idea. Her various fields of work influence and support one another in their development. Tensions which arise during a film shoot are released through painting. Research conducted for her paintings proves useful for her next image concept, etc. Linking these forces and bundling their potential is the next logical step. In the beginning of a project visions and goals of the client will be outlined. The next step is a clear analysis of the situation at hand, out of which the concept will be developed. In collaboration with other creatives websites, photo series, image films and more will be created. 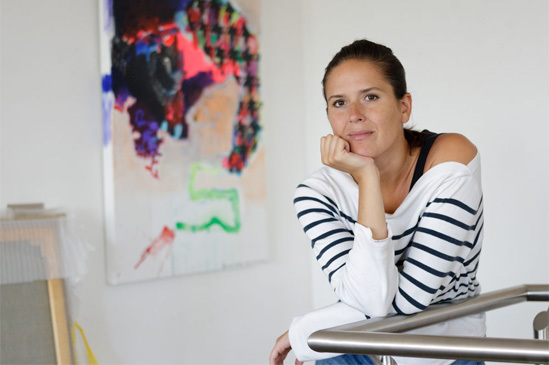 Eva-Maria´s creative aim is to show the heart of a project and life behind companies and products. Eva-Maria not only provides the guidelines for developing the concept but also manages and finishes projects. All guidelines, texts and titles are written by Eva-Maria Biribauer. More projects and photos will be put on the website soon!